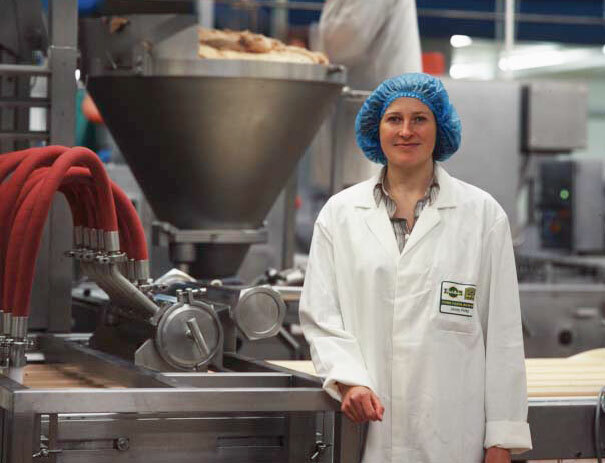 Pork pie and sausage roll maker Pork Farms Bowyers has invested significant resource and time into creating its own tailored shopfloor organization program. Steed Webzell reports. Shopfloor organization is fundamentally important to a food manufacturer. It helps to fuel tidiness, which in turn can assist with achieving the necessary levels of cleanliness – particularly important among suppliers to the UK’s leading supermarket chains. At the Nottingham factory of Pork Farms Bowyers (PFB), the lack of organization in the production department was of major concern.Accidents were also occurring with some degree of frequency.The company was convinced the two problems were related, and that the 5S technique could help to overcome both. Alongside this, with customer audits common place, PFB didn’t want to give any of its prestigious customers grounds for taking business elsewhere. In the last two years the company has made giant steps towards radically overhauling its workplace organization. 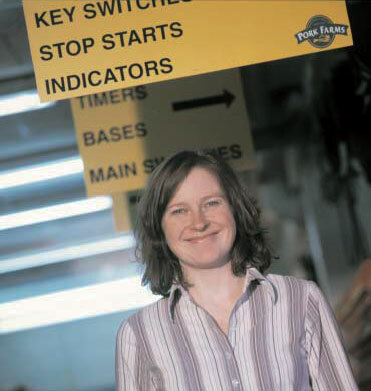 One of the pioneers of the idea to transform PFB is manufacturing facilitator Jenny Perks. A change of role within the organization, along with a three-day workshop presented by Productivity Europe at a nearby company in November 2000, convinced her, along with the company’s new general manager, that there would be a lot to be said for deploying 5S at PFB. “We knew it would be hard to build without the use of 5S as a starting point and a foundation,” she says. A steering committee was formulated consisting of managers from accounts, hygiene and quality, manufacturing, engineering, training and also a senior shop steward (the union has been “really positive”).The Productivity Europe workshops finished in January 2002 and encompassed 20 per cent of employees.The workshops encourage personnel to undertake internal audits, mapping out and identifying 30 problems.These are put into ‘serious, major, minor or trivial’ categories along with an indication of how difficult they are to fix. Serious problems that are relatively simple to correct then head the priority list. The fourth step, ‘perfect’ is a way of standardizing, so that instructions are clear. “This step allows us to determine whether everyone is doing it the same way. We want to get away from operators having a little book of settings in their back pocket. ”‘Sustain’ is the final step and is a method of maintaining the progress that has been made. It is also subject to scrutiny at regular PFB performance reviews. Were there any dissenters at PFB? “Yes, there is always a small minority,” admits Quayle, “So we work with the ones that do want to take part and slowly but surely the small group at the back gets smaller. Initial fear plays a part, some people will naturally be unsure of what it is all about and see it as more work.This remains until they begin to understand it. That the workforce has bought into the ethic of STEPS so readily is testament both to them and to management. PFB has employed several reward techniques to bolster participation.There is a league table of audit scores, with a trophy for the highest placed team at specified intervals and a free meal for the team that makes the biggest leap in score, as well as a special STEPS ‘star’ award for the best performing individual, who wins a distinguished T-shirt and voucher. A training matrix on company noticeboards helps to promote the reward and recognition ethos. The measurable for the success of STEPS at PFB is the aforementioned audit scores. After the initial series of workshops, scores were around 40 per cent. But improvement was fairly rapid and once teams achieved a score of at least 80 per cent for three consecutive months they were transferred on to a continuous improvement audit linked to attributes such as safety.The team currently at the top of PFB’s league table has a score of 93 per cent. According to Perks, the results of STEPS are also being noticed outside the company. Notoriously hard-to please retail customers who conduct regular audits are said to be impressed. This is just reward for a company that has created both an organized, tidy and safe production department with open channels of communication, and a foundation to continue building to become one of the UK’s most acclaimed manufacturing sites. As for other improvements such as product quality, it would probably be best to ask the consumer – the proof, as they say at Pork Farms Bowyers, is in the pie. Full article is available in download.